Wow, seriously, where has the summer gone? It has its time just like every other season, but why does it seem so short?! Oh, right...I live in Seattle. It's hard to believe I am already leafing through the September issues and amassing my fall lust list. 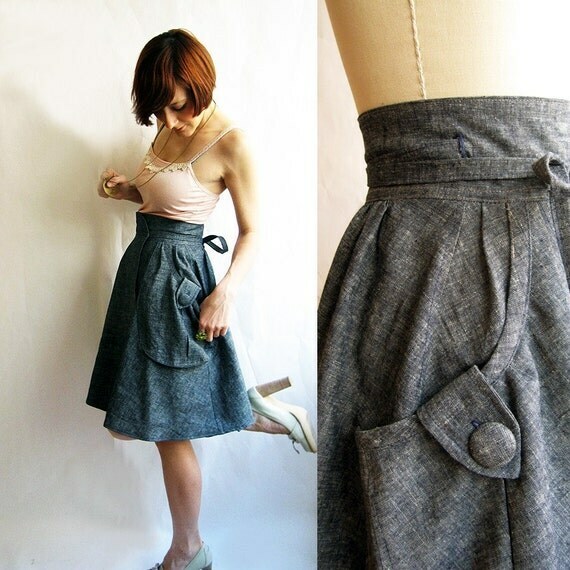 I've been eyeing this skirt from etsy seller Pyxus Passion Project for some time. It has everything my figure needs in a skirt: small waist, a-line cut, and knee-length. Just when I was weaning myself off my TOMS adoration, they had to go and release a new line for fall. I feel weak at how I love these Scottish Houndstooth classics. It is a good thing they are sold out in my size. I present to you my version of the perfect dress (note the similar silhouette to Julia Robert's horse-racing dress in Pretty Woman. That movie influenced my sense of style more than I care to admit.) Feminine, modest, breezy, understated, and a gorgeous fall color. I love French Connection's Winter Bex Beads Top in Vine Red. I'm on a serious eagle-eye search for gorgeous blouses. This one will certainly do! Essie has had the market on affordable nail-polish for some time now, but I am sitting up and paying attention with this "power-clutch" color they describe as a "striking rich, deep gray-green). I'll take all of the fall 2011 collection, please. 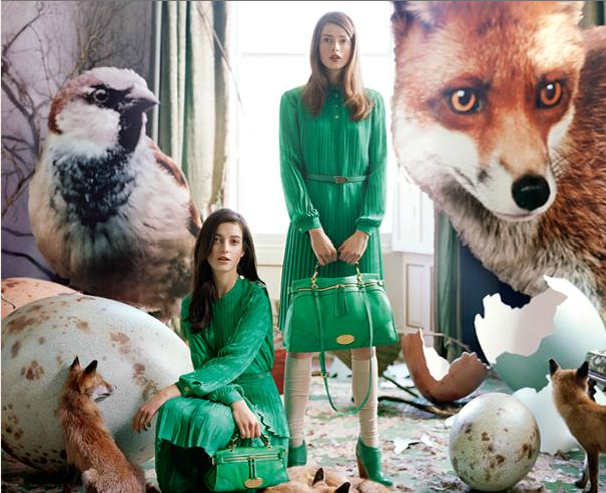 If I could have just one thing for fall, no matter the price, it would be this green Mulberry dress. I have nothing in this color and I cannot tell you how much I enjoy pleats. It's so prep-school chic. This advertisement also happens to be my fall favorite. EmersonMade has been a long-time favorite of mine; these Stretch BlueBells are on-trend, but made from a true vintage pattern. It's time for a statement-makin' dress, ladies (and gent(s)?)! I spotted this in Lucky Magazine, and even found the blogger who mentioned and wore the dress, but alas - I cannot find the actual dress anywhere. Nonetheless, I'm looking sharp for a subtle polka-dot print, 60s cut dress for all of my fall outings to jazz clubs and symphonies and swing dances. I guess I better start going to more jazz clubs, symphonies, and swing dances. I hope you feel the permission to update your style this fall, even in one small way. 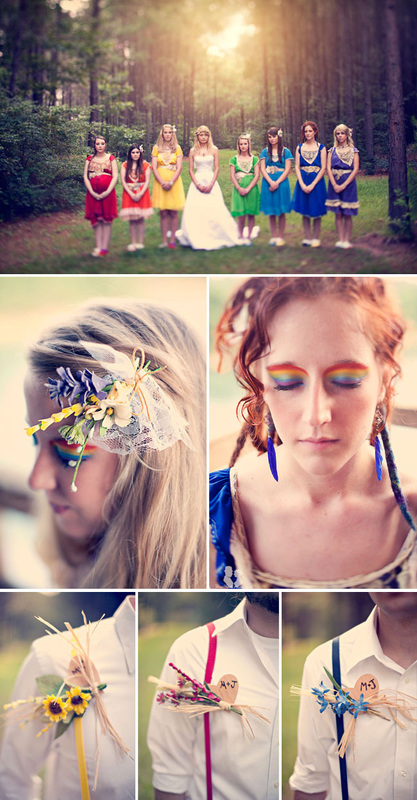 I'm doing a little wedding photography research and came across this magnificent array of colors. I can't help but think that if UmberDove ever re-did her wedding, she would have rainbow bridesmaids. As one of those self-appointed bride-maidens, I'll take the orange, thank you very much. And you can bet your momma's life I'd be rockin' that rainbow eyeshadow. And that got me to thinking what I might do differently if I had a chance to redesign my wedding now, almost 9 years later. The venue, the reception, the color scheme, the flowers, and the photography - just for starters. And you? What would you change, chickadees? "My feet grew a yetti."